July: Where are we waiting for? 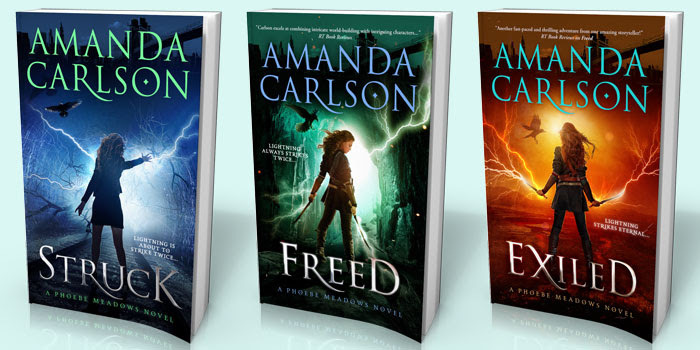 STRUCK by Amanda Carlson is FREE for a limited time! 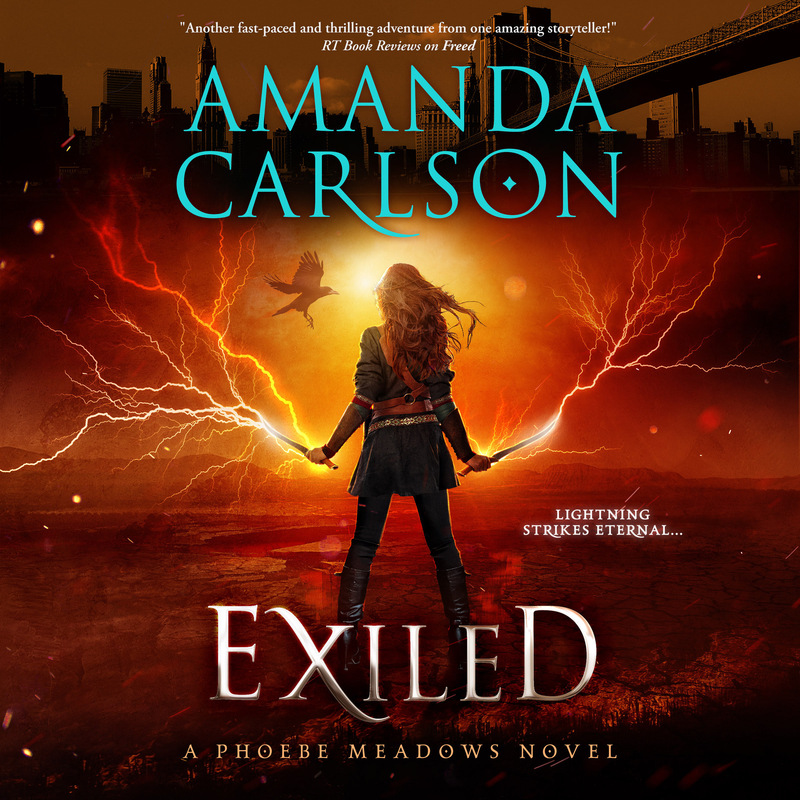 The Phoebe Meadows series is full of action and adventure and…Valkyries! When Phoebe Meadows gets struck by a strange light in the stock room of Macy’s, life as she knows it flies out the window. As if being hit by lightning isn’t bad enough, she’s accosted in the subway by a man with a missing hand, arrives home to find a raven on her kitchen counter, and her neighbor Ingrid shows up dressed like a gladiator, hell-bent on protecting her. Before Ingrid can shuttle her off to safety, Phoebe is kidnapped and tossed into one of the Nine Worlds, where she’s quickly forced to come to terms with what she is: a Valkyrie. The only problem is, she has no idea what that means. Phoebe Meadows has one thing on her mind: Free her mother. For the last month, Phoebe has been training in the Valkyrie stronghold readying for battle. But when she stumbles into a secluded valley after a day of grueling practice, she’s given a dire prediction. Phoebe must leave the stronghold immediately with the aid of the giant, Junnal, to rescue her mother from the dark elves. If Phoebe fails, Leela will be transported to a place that can no longer be reached. Leaving Fen behind threatens to undo her, but Phoebe stays true to the mission. Along the way, she allies with the god Baldur and an old white elf mage. Together, they storm the realm, and with the help of an angry wolf and her Valkyrie sisters, they just might stand a chance to free the valiant shieldmaiden. Phoebe Meadows is on trial for her life. After freeing her half-brother, Baldur, Phoebe is set to stand before the Council in Asgard to answer for her actions. The threat of exile if she’s found guilty looms, not to mention the added stress of meeting her real father for the first time. Upon entering Asgard, Phoebe discovers new allies in a half-brother she’s never met as well as an oracle who is in possession of valuable information. A little added help couldn’t have come at a better time, because when Phoebe is tossed into an unknown realm, she’s armed only with Gundren, a jewel, and her wits. When Loki shows up, all bets are off. 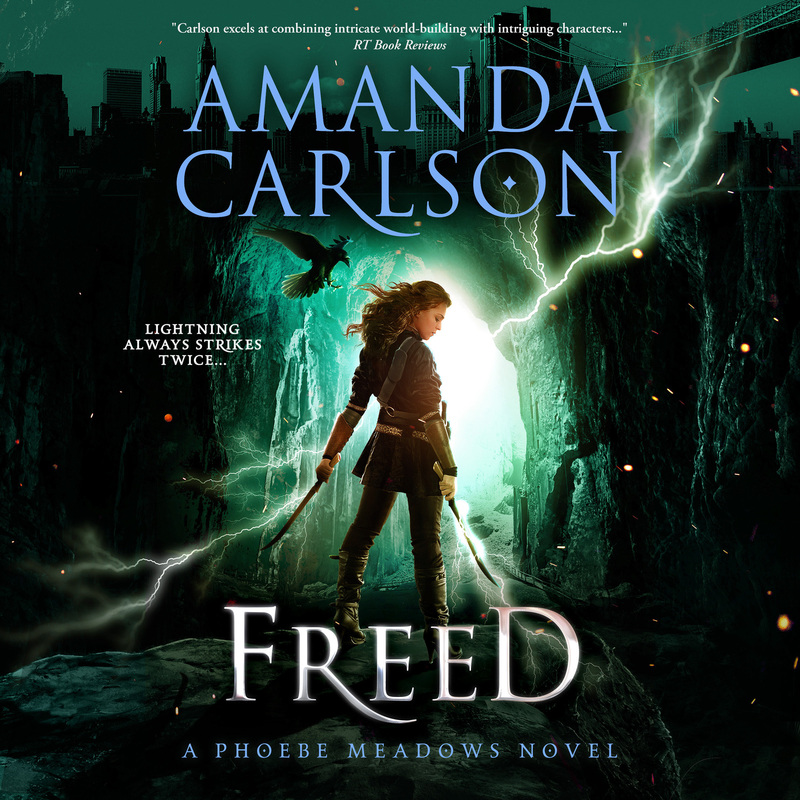 The trickster god throws a wrench in Phoebe’s plans and kidnaps Fen, her only ally. And just when she thinks she sees the light at the end of the tunnel, Phoebe finds she has to defeat one last obstacle: The Norns. The books are also in Audio!